Our company is a supplier of Aero Electric Connectors - circular and rectangular connectors, filter and transient protection connectors, and copper and fiber interconnect systems to a wide range of industrial, commercial and general aviation, transportation and military customers. Please see below some of the products we offer, and contact us for more info or to buy. High performance environmental and firewall-rated cylindrical connectors machined from aluminum, carbon steel, stainless steel, and aluminum nickel bronze. Conesys/J-Tech specializes in front and rear release 5015 connectors as well as customer- specific applications for customized connectors and fiber optic assemblies. Conesys/EMP Connectors designs and manufactures EMI filter and EMP transient suppression devices. Conesys Europe markets and assembles product for Aero-Electric, J-Tech and EMP. 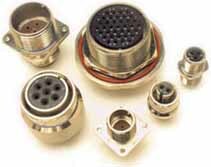 Conesys/Aero Industrial Products sells and manufactures connectors and cable assemblies intended for the industrial marketplace. Contact us Today for Aero Electric Connectors and Accessories!